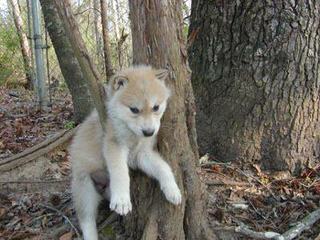 We breed low content to upper mid content wolfdogs. Parents of all pups are on site. These are beautiful animals that tend to bond strongly with their owner. 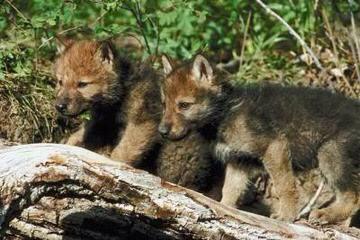 Wolves are gorgeous magnificent animals, and really belong in the wild and don’t make good pets. Upper High (UHC) and High Content (HC) wolfdogs are also magnificent animals and they can make wonderful companions for a dedicated and knowledgeable person who is capable of providing the right environment for them. Mid content (MC) wolfdogs can still maintain a magnificently wonderful wolfy look and they are enough, or more than enough, wolf for most people, but they can still be quite a handful, and generally require more work and patience than your average dog breed. LOW Content (LC) 32.5% or 1/3 wolf wolfdogs selectively bred to hopefully maintain the more exotic wolfy looks of their mom with more of the tractability associated with a well bred pure German Shepherd. I will screen potential puppy buyers all year round. Once breeding takes place and pregnancy is confirmed, deposits will be accepted first from those who have returned contracts to me and next from people that have already returned the screening application and been approved. there are also several good facebook groups you can join. Really, before getting ANY breed of dog or type of pet at all for that matter, you should do your research. Read websites, read books, join groups, talk to other people that own the breed. If more people do their research instead of impulsively buying pets, more people AND pets would be happier in the end! New Breeder with only one set of wolves . New website so contact via email or phone . 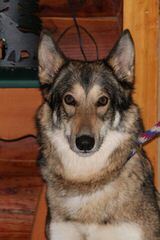 Here at Carrkinney Wolf Den, we are your South Carolina wolfdog breeders. We have beautiful, fun-loving, socialable dogs. The puppies we have will make wonderful pets and great additions to your family. All of our pets are raised in loving and caring home. The puppies are handle from the very frist day of life. At two weeks of age we take them on car rides and take them out with us to different place. 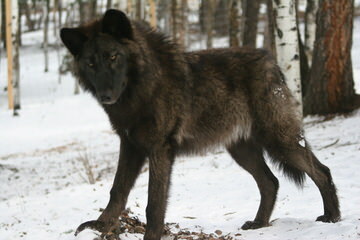 Note:Many people still use the term “wolf hybrid” that is no longer accurate. 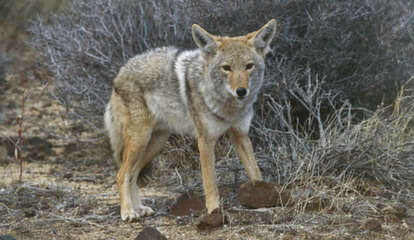 A hybrid is is the offspring of two different species. In 1993 the Federal Goverment reclassified that domestic dogs(canis lupus familiaris) is actually viewed as a variaant of the gray wolf(canis lupus). Even your little beloved Chihuahaua and. 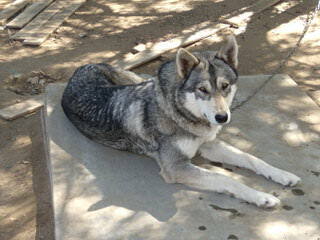 A wolfdog is a dog with recent wolf heritage. 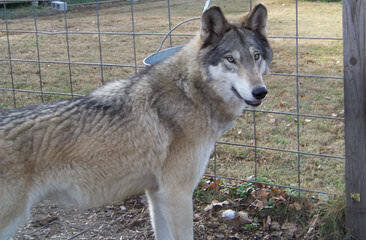 That is, a wolfdog has a pure(100%) wolf ancestor within the last five generations. WHAT ARE THEY MIX WITH? 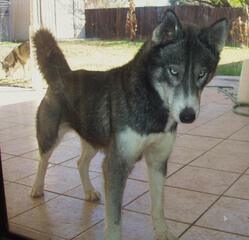 Most of the time they are mix with Alaskan malamute, Siberian Huskey and/or German Shepherd. 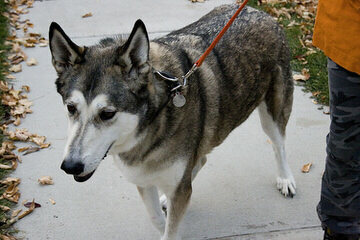 People want wolfdogs that look “wolfy” and these breeds most resemble their wild family members. Are they wild, mean and aggressive animals? No they are not wild animals they are domestic animals with specails needs. They need love and depend on humans for food, love and protection and companionship. Wolves are, by nature, timid around humans. Likewise so are high content woldogs. 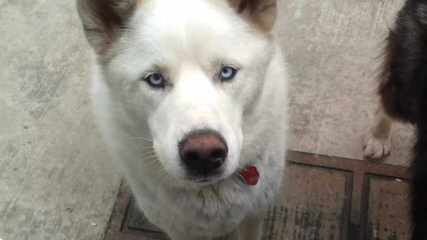 Should someone break into your house your wolfdog would hide then face them. There has never been a reported attack on a human by a healthy wolf in this country. 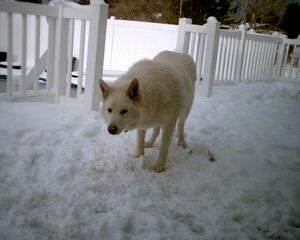 My kids have been around my wolfdogs and have never been attack they love them and play with them everyday as you can see in the pictures on my webpage. You are more then welcome to contact and stop by anytime and see for your self how loving,playfuly and caring these wonderful animals are. Why have a wolf dog? Wolves have a very strong pack order, which means their behaviour towards humans (the food provider and pack leader) is very respectful, with none of the neurotic / aggressive behaviours shown by many dog breeds, bred often for appearance. They are also naturally healthy, with plenty of energy. They are very intelligent, and loyal to their owner, making them ideal for a variety of useful jobs, as well as good pets, provided their different needs are understood, and they are given enough exercise and stimulation. All our pets come with a one year health warranty from the date you pick them up. Thank you for stop by our webpage hope you enjoy it. Our Wolf Hybrid Ranch is nestled on 30 acres at the base of the Marble Mountain Wilderness and in the shadow of Mount Shasta. 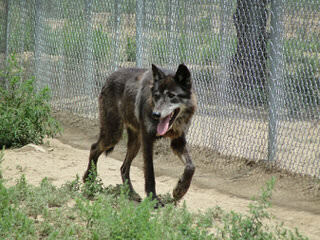 Our wolf hybrids are raised in a natural environment in a secluded woody terrain. Because of the close proximity to the house for all the sections of the wolf forest and the constant interaction with our family, our puppies are raised with contact and intimate socializing. The distinctive look and physical attributes of our mid-to-high content wolf pack sets our puppies apart from other breeders. 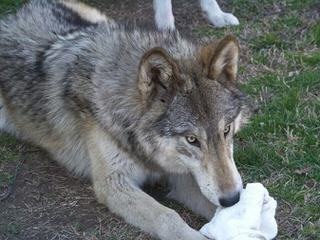 Our unique setting allows the wolf hybrid cubs to have large swaths of land to run and play. 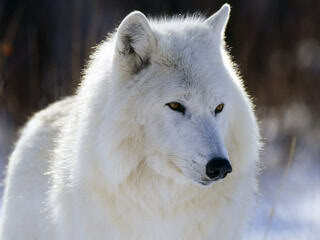 I raise high content (ninety percent range) Wolf Hybrids. I have 3 males left please take a look at my site for more information.